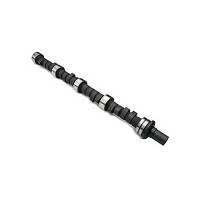 Crower Cams is a leading producer of aftermarket camshafts and valve train components. Pit Stop USA is The Online High Performance Superstore! 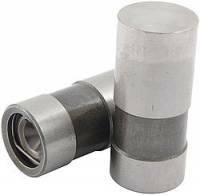 We feature Connecting Rods - GM DuraMax at low everyday prices. Designed for high rpm, Crower valve springs are wound from only the highest grade, super clean, chrome silicone alloy and feature proprietary processing procedures for consistent pressures. Pit Stop USA is The Online High Performance Superstore! We feature Crower Performance Valve Springs at low everyday prices. Pit Stop USA is The Online Motorsports Superstore! 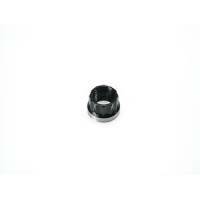 We feature Crower Roller Cams for Small Block Chevy at low everyday prices. Pit Stop USA is The Online Motorsports Superstore! We feature Crower Solid Cams for Small Block Chevy at low everyday prices. Pit Stop USA is The Online High Performance Superstore! We feature Hydraulic Cams - Buick V8 at low everyday prices. Pit Stop USA is The Online High Performance Superstore! 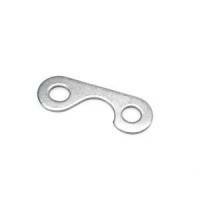 We feature Hydraulic Lifters - GM at low everyday prices. Crower Compu-Pro Solid Lifter Racing Camshaft - SB Chevy - Duration @ .050: 244 Int./ 250 Exh., Lobe Separation: 105°s, Gross Lift: 503 Int./ 518 Exh. Crower Compu-Pro Solid Oval Track Racing Camshaft - Chevy 262-400 - Grind# 288 FDP - Lobe Center: 105, Advertised Duration: 288 In - 292 Ex, Duration @ .050": 254 In - 262 Ex, Gross Lift (1.5, 1.5 Ratio Rocker) .525" - .546"
Crower Compu-Pro Solid Oval Track Racing Camshaft - Grind#: 294Fdp - Chevy 262-400 - Lobe Center: 105, Advertised Duration: 294 In - 302 Ex, Duration @ .050": 260 In - 266 Ex, Gross Lift (1.5, 1.5 Ratio Rocker) .540" - .557"
Pit Stop USA is The Online Motorsports Superstore! 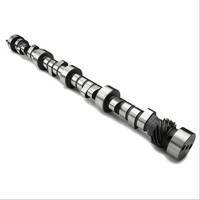 Crower Cams and Equipment Company, Inc., is a leading producer of aftermarket camshafts and valve train components. But over the years Crower has developed a more diverse line of products. 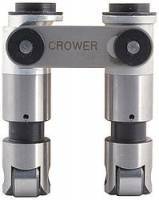 Today, Crower is the worldas largest manufacturer of aftermarket crankshafts and connecting rods, and the Crower line of clutches has been dominating the drag racing and tractor pulling series for nearly two decades. Crower products are used in everything from NASCAR Cup and Busch Series to NHRA Top Fuel, Funny Car and Pro Stock to the USAC ranks on down to Saturday night Sportsman classes and conventional passenger cars and trucks. Today, Crower Cams and Equipment Company is still family owned and operated, employing over 200 people at five separate facilities. Utilizing the latest in computer assisted design (CAD), Crower engineers render multidimensional blueprints that are then downloaded into one of Croweras state-of-the-art CNC machining centers. The transition to a fully computerized design and machining environment enhances Croweras already superior line of products. This, coupled with Croweras extensive product development and testing program, keeps Crower one step ahead of the competition. 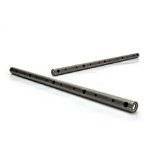 We feature Crower Camshafts, Crower Cams, Crower Crankshafts, Crower Hydraulic Lifters, Crower Solid Lifters, Crower Mechanical Lifters, Crower Roller Lifters, Crower Rocker Arms, Crower Sportsman Connecting Rods and more at low everyday prices!